Baruch Tzfasman is a young virtuoso cantor who lives in Brooklyn, NY. 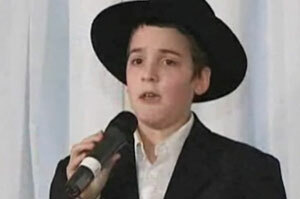 Boruch Tzfasman, a promising young singer, sings the popular song Ose Shalom. Boruch Tzfasman, a promising young singer, sings Avinu Malkeinu, a prayer we recite on Rosh Hashana and Yom Kippur.